We have placed around 37 students in various Bluechip & Multinational Companies such as Bosch, Capgemini, ADP, Tech Mahindra and many more. 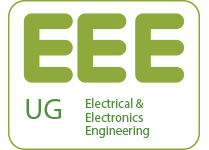 Electrical and Electronics Engineering is a continuously evolving discipline. The difficulty of the challenges faced by an engineer increases exponentially with every level of advancement in technology. A quantum computing device is soon going to be yesterday’s news. EEE is a department that acts as a bridge connecting the core values of the modern technology with the vast spectrum of advancement in it. The EEE Department at BVRITH with occupancy of 60 seats prepares the students in this field with all the modern equipment one can get in this world. A four year degree program offered by BVRIT-H. Aimed to provide an ability to design and analyze any electronic circuit comprising of any prevalent technology within realistic constraints. Gives the student opportunity to pursue a career in various domains including Telecom engineer, Circuit Design, Process Management, Electronics engineer etc. What you may target to become! What will you do after education! Where will you work after graduating! A specialized team TAP Cell (Training and Placement Cell) has been established to help the students get places in various multinational companies by training them to crack their exams and interview.